Every cook desires the utmost in control over the elements. 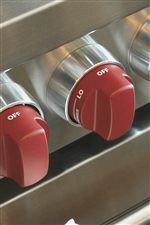 With Wolf sealed burner rangetops, control is all yours. 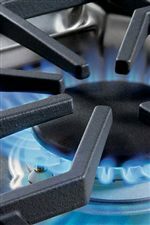 Using gas gives the cook more control than any other power source, and Wolf brings it to an even more precise level: A key feature in this line of rangetops is the implementation of dual-stacked burners. 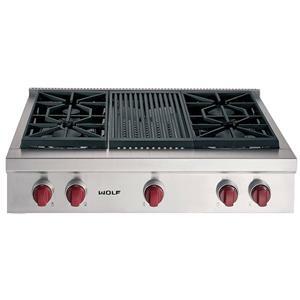 This model has 4 burners that feature two levels of cooking power: The upper-tier ports deliver maximum heat transfer at higher settings, and the lower-tier port offers a continuous flame that can handle more delicate cooking such as simmering and melting. 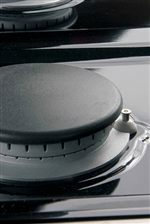 An additional component that makes this model unique is that it features a griddle in the center of the cooktop. The griddle is an extremely versatile piece of cooking equipment: Think pancakes, hot sandwiches, and sauteed veggies done with ease any time you want. With control, you can make every dish with confidence, and put your unique touch on every dish as well. Staying true to form, this line of Wolf products is customizable to your unique tastes and needs in terms of design and configuration settings. Offered in an array of sizes, this line leaves the options completely up to you. The convenience of rangetops is being able to place them in wherever you need them in the kitchen, giving you the flexibility to design your kitchen in harmony with your needs and preferences. With Wolf, you can. 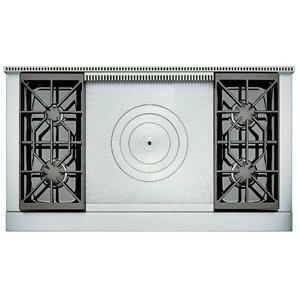 The Sealed Burner Rangetops 36" Built-In Gas Rangetop with 4 Sealed Burners and Griddle by Wolf at Furniture and ApplianceMart in the Stevens Point, Rhinelander, Wausau, Green Bay, Wisconsin Rapids, Marshfield, East and West Madison, Wisconsin area. Product availability may vary. Contact us for the most current availability on this product. Warranty Full 1-year warranty, limited 5-year warranty, limited lifetime warranty. 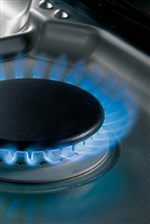 Professional chefs all around the world choose gas cooking for one reason: Control. 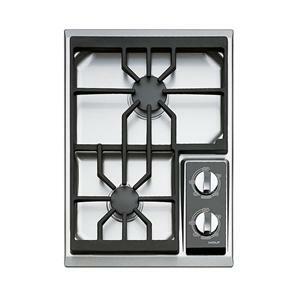 With Wolf's sealed burner rangetops line, you can have that same control in your own home kitchen. 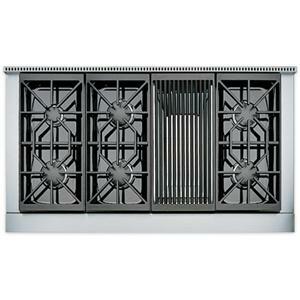 Making this line of rangetops even more precise is the use of dual-stacked sealed gas burners that provide two settings for your cooking needs. 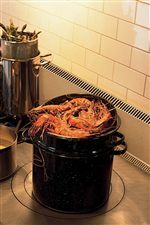 An upper-tier port delivers maximum heat transfer at higher settings, and a lower-tier provides a continuous flame that has simmering and melting outputs for more delicate cooking. Whatever your needs, Wolf has the solution, and this includes design and configuration options as well. 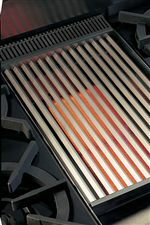 Wolf sealed burner rangetops are customizable with different sizes and configurations such as charbroilers, griddles, and french tops. 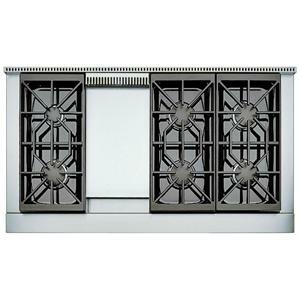 All products in this line are made of stainless steel, and offer design flexibility as they can be placed in different locations in the kitchen. 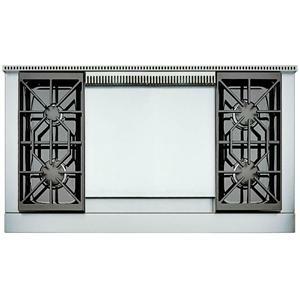 All wolf rangetops are elegant in design, befitting today's gracious homes. With Wolf, you can cook with confidence. 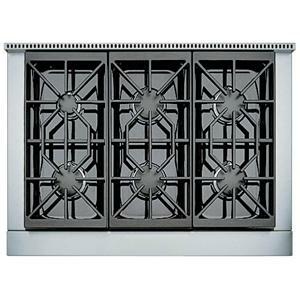 The Sealed Burner Rangetops collection is a great option if you are looking for Appliances in the Stevens Point, Rhinelander, Wausau, Green Bay, Wisconsin Rapids, Marshfield, East and West Madison, Wisconsin area. 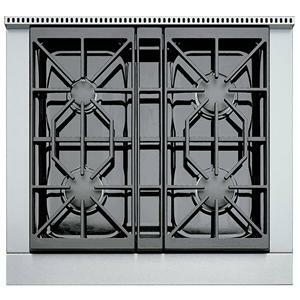 Browse other items in the Sealed Burner Rangetops collection from Furniture and ApplianceMart in the Stevens Point, Rhinelander, Wausau, Green Bay, Wisconsin Rapids, Marshfield, East and West Madison, Wisconsin area.